It’s important that your medical equipment works well in order to give optimal care to patients. A small problem can quickly lead to a major malfunction that can stop you from giving important treatment or care to someone. Access to quality medical equipment repair is just one reason why it makes sense to purchase from Daily Care, Inc. Our highly-trained staff is ready to provide maintenance and repairs to all different types of medical equipment. Daily Care Trained and Certified Technicians will Repair Medical Equipment for you. 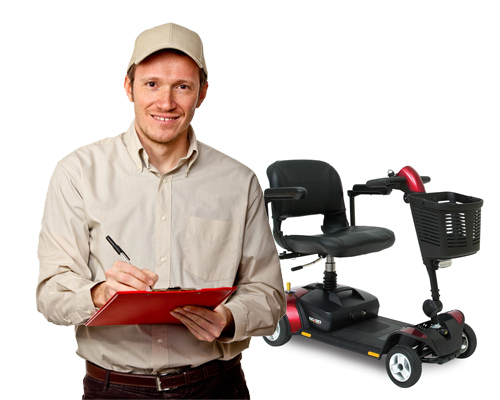 Mobility Scooter Repair: If your mobility scooter isn’t working correctly, it can be difficult to maintain your active lifestyle. Issues such as drained batteries, motor problems or broken electronics can sideline you indefinitely. Our motor scooter repair services can fix these problems and get you back to visit friends and going on new adventures. In many cases, your insurance will provide a loaner scooter for you while you wait on your repairs to be completed. Power Wheelchair Repair: Power wheelchairs are incredible pieces of technology. But like any other complex device, this also means that there are a lot of parts that can break or wear down, leading to you being unable to use your wheelchair. 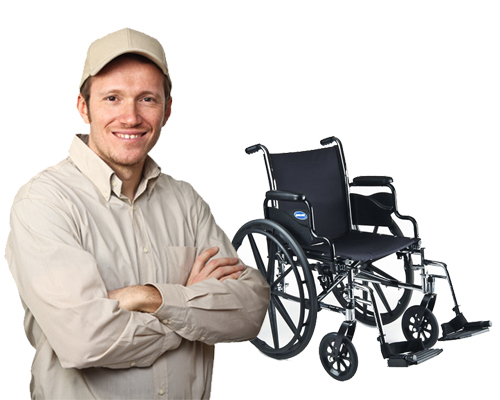 Some problems such as broken wheels or dead motors can leave you completely unable to use your wheelchair, while others such as busted arms or backs can leave you uncomfortable until a power wheelchair repair can take place. Lift Chair Repair: A lift chair is about more than just comfort – it’s about making it possible for a person to relax in a chair without having to strain to sit down or stand up. Unfortunately, the moving parts needed to make a lift chair work can break down. Common issues include frame damage, dead motors or broken hand controls. 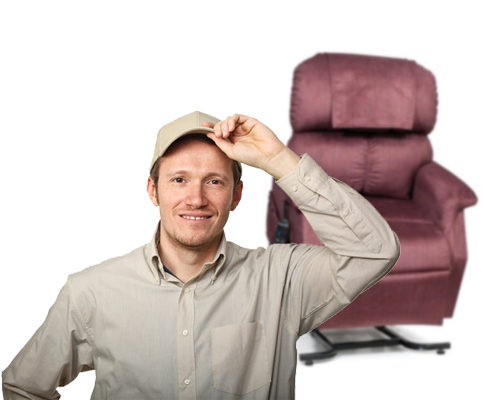 Lift chair repair from Daily Care, Inc. can get your lift chair back to a fully operational state quickly. Hospital Bed Repair: Having a comfortable hospital bed is one of the most important things for people who are dealing with long-term illnesses or injuries. 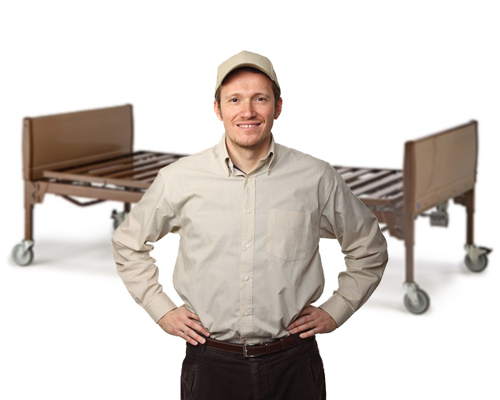 Daily Care, Inc. can perform a wide variety of hospital bed repair services such as replacing head and foot springs, fixing a motor or repairing controllers such as the pendent. We can also provide you with new items such as mattresses to ensure that your patient rests as comfortably as possible. Manual Wheelchair Repair: Being without a wheelchair can rob a person of their sense of freedom and movement. If you use a wheelchair, you understand how important it is to have one that works correctly. There’s no need to get by with a wheelchair that has issues. 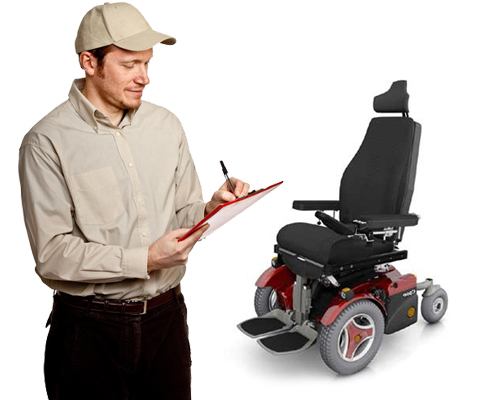 Our manual wheelchair repair can fix almost any problem that you might have. Some of the most common issues that we fix include foot rests and leg rests, casters and forks, rear wheels and rims, and upholstery.